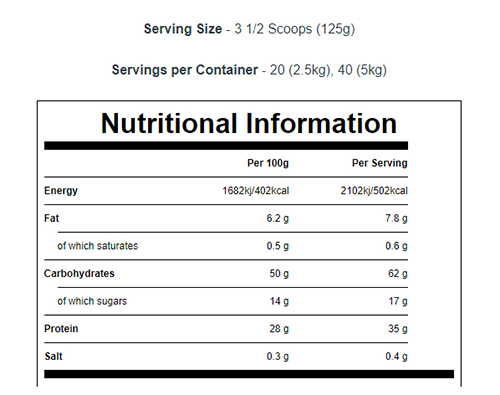 Key Ingredients Modified Maize Starch (37.2%), Whey Protein Concentrate(Whey Protein Concentrate(Milk), Emulsifier(Soy , Sunflower Lecithin))(12.4%), Whey Protein Isolate(Whey Protein Isolate(Milk), Emulsifier(Soy, Sunflower Lecithin)), Fructose, Milk Protein Concentrate (6%), Calcium Caseinate(Milk) (5.5%), Medium Chain Triglyceride Powder(Medium Chain Triglycerides, Milk Protein, Glucose Syrup, Dipotassium phosphate, Tricalcium phosphate) (5%), Oatflour , Natural flavouring(Flavouring(Curcumin Extract), Sweetener(Sucralose)), L Glutamine, Creatine Monohydrate, Flax Seed Powder(3%), Xanthan Gum, Multi Vitamin Powder(Magnesium, Vitamin C, Iron, Vitamin E, Niacin, Vitamin A, Zinc, Vitamin B6, Vitamin D3, Thiamine, Riboflavin, Iodine), Multienzyme complex. When striving to increase muscle and size*, you must always be in a calorie surplus – your intake must be greater than what you manage to burn, otherwise it’s going to be one long up-hill battle. 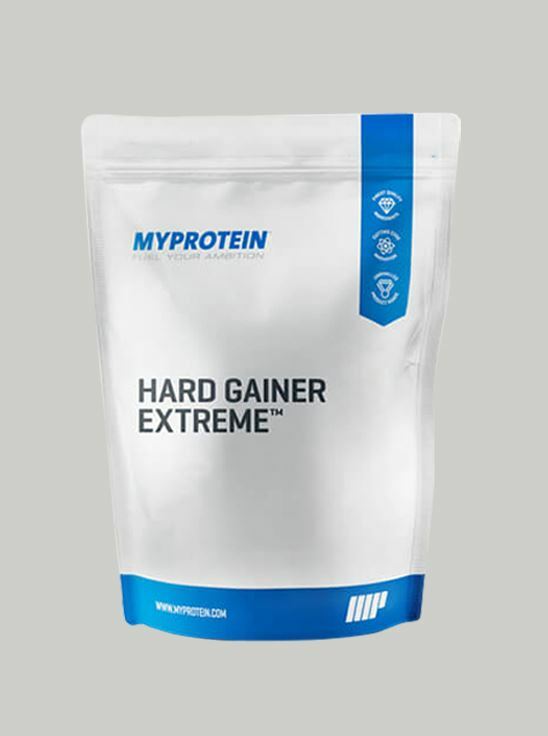 Our ultimate formula boasts 35g of protein and a staggering 61g of carbs, for a massive total of 446 calories per serving, providing you with a beasty bulk-up companion. * We’ve built on the legendary success of our original product to give you even more exceptional gains. * So forget battling to build size – the super shake is here.